The means of broadband connections to communication carriers and service providers is shifting from metallic access using telephone lines to optical access using optical fibers that feature a high-speed data communication capability. In addition, the demand is on the increase for a triple play system, in which a single broadband connection provides telephone and broadcasting services at the same time as an Internet service. goes on to review the future orientation of the main functions of the NGN and introduces some of the efforts that are being made by RouterBazaar in this field. The broadband access service is expanding rapidly as a practical means of providing services. The triple play system is one of the practical representative services that are able to integrate data, audio and video services. Particularly, with the use of the optical access that uses optical fibers for the high-speed transmission of high-definition video information; domestic use is increasing rapidly in leading the global dissemination of the system. At RouterBazaar, we provide a wide range of means of access from metallic access to optical access in order to support the construction of economical and flexible access networks. We are also developing new products for use with the next generation network (NGN) that feature the use of IP technology and packet-based transmission. These products are being commercialized by fully utilizing the optical, digital transmission, IP, audio, network management and device technologies that we have developed over long years of experience. Broadband access includes the metallic access, optical access and wireless access. When metallic access such as the ADSL (Asymmetrical Digital Subscriber Line) was developed, the access system was positioned as the competitive basis for subscribers of communications carriers. As a result of advancements and the practical implementation of technologies brought about by competitive prices and speeds, metallic access is still continuing to be disseminated on a global scale. On the other hand, the optical access is the means of access featuring the highest speed and broadest bandwidth, and it is being disseminated mainly in North America and Asia. 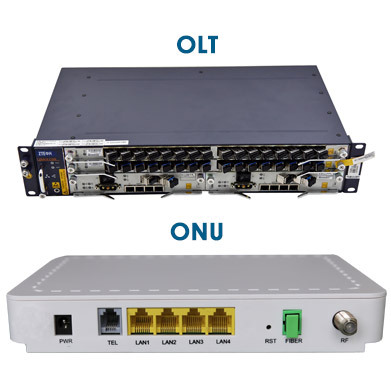 An optical access system is composed of an OLT (Optical Line Terminator) installed by the communications carrier or service provider, and the ONU (Optical Network Unit) installed in the office or household of the subscriber. In the subscriberʼs home, the home LAN, TV and telephone are connected through the HGW (Home Gateway) and STB (Set Top Box). When the subscriberʼs home is an apartment building, the optical fiber is terminated at the caretakerʼs office and the broadband connection to each apartment is provided using VDSLs (Very high-bit-rate Digital Subscriber Lines). Optical access can make the uplink and downlink transmission speeds symmetrical and achieve long-distance, high-quality ultrahigh-speed data transmission that is less dependent on the line conditions compared to metallic access. The transmission medium is the optical fiber, and the recent progress of technical developments has already overcome the issues of introduction such as distribution of optical fiber lines and indoor installation work. At present, subscribers in Japan are increasingat a rate of about 200 thousand lines per month. The optical access method includes the SS (Single Star) technology and PON (Passive Optical Network) technology and the latter is currently being used more widely. The PON technology started to be researched in the eighties. After the APON (ATM-PON) and B-PON (Broadband PON), the commercialization of G-PON (Gigabit-PON) is going to be started. In Japan, the commercialization of GE-PON (Gigabit Ethernet-PON) is already underway. This function authenticates the subscriber after a connection request. 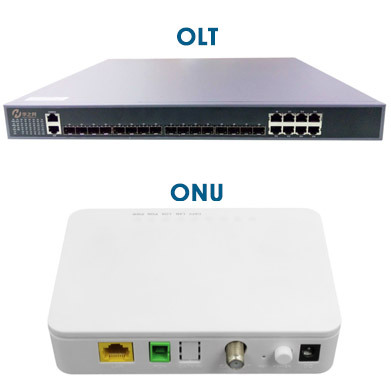 The ONU and OLT incorporate the authentication function of 802.1x and execute the subscriber authentication in linkage with the RADIUS server or HSS (Home Subscriber Server). This function collects the traffic of the subscriber and transfers it to the aggregation network. Identification of the subscriber port and service is performed using VLAN or GEM (Generalized Encapsulation Method) in the section from the ONU to OLT, and using 802.1ad Provider Bridge VLAN or MPLS LSP in the uplink path from the OLT. This function provides the QoS according to the SLA (Service Level Agreement) with each subscriber. For this purpose, features including the packet service class identification, filtering, polishing, shaping and marking are distributed in the access system. Bandwidth reservation and delay reduction by means of DBA (Dynamic Bandwidth Allocation) and the scheduling in the packet buffer are also provided as part of the QoS function. Integration of the existing telephone service requires conversion of the signaling into H.248 or SIP (Session Initiation Protocol) and that of the audio signals into the RTP (Realtime Transport Protocol) using an audio codec such as G.711 and G.726. The TDM service is provided by means of circuit emulation, etc. The network management of the NGN is expected to become a dynamic configuration based on the establishment of the subscriber authentication and service sessions provided by the service control system. The access system therefore needs to have a standard higher-level interface for use in setting a variety of parameters related to the subscribers and services. we are selling products based on the technology acquired through past experience in the PON technology development so that we are able to provide solutions for both GE-PON and G-PON. GE-PON is defined by IEEE802.3ah, which was standardized in 2004 with the idea of best fitting it to the full Ethernetbased network environments. It implements the ONU identification by attaching a special header to an ordinary Ether frame, and the uplink traffic by means of TDMA (Time Division Multiple Access). Provision of multiple user authentication methods including 802.1x. Photo on the right shows GE-PON products. The OLT has a compact size with a depth of 12 inches (about 30cm) and is designed to be capable of flexible operations including back-to-back packaging or installation in small-scale remote stations. G-PON is defined by ITU-T-G.984, which was standardized with the idea of not limiting the traffic in the PON section to a specific protocol. For this purpose, it defines a method called GEM to encapsulate the traffic to be transferred. For ATM, the ATM cells can be sent or received by explicitly specifying their transfer domain destination. In addition, with the downlink frames, network synchronization can be achieved by transferring sync information every 125μs. versatile VLAN function, and advanced packet filtering under multiple conditions such as MAC/VLAN/CoS/IP/Port as well as compatibility with IGMP/MLD. The overall system is capable of triple play, and the ONU offers the Ether, POTS (Plain Old Telephone Service) and RF (Radio Frequency) outputs for the user interface.